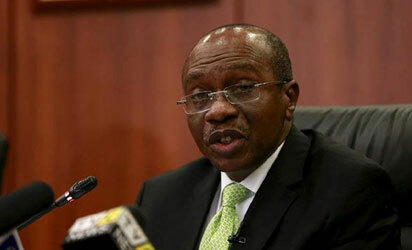 CBN Governor Godwin Emefiele has warned individuals and organizations who are sourcing Forex for the importation of 41 banned items not eligible for Foreign exchange to desist from doing this forthwith. Stating that whoever is found culpable or circumventing this process will banned from operating bank account of any kind. He said: “Given the remarkable success that has been achieved in stimulating domestic production of goods such as rice, cassava and maize, as a result of the restrictions placed by the CBN on access to forex for 41 items, the CBN intends to vigorously ensure that this policy remains in place, and additional efforts would be made to block any attempts by unscrupulous parties(both individuals and corporates) that intend to find other avenues of accessing forex, in order to import these items into Nigeria. Speaking on the positive impact of the restriction also known as 41 items policy, CBN Governor said: “There has been considerable discourse particularly on whether the restriction on access to foreign exchange for 41 items is driving local production, with some nay-sayers stating that it has constrained productivity and growth in the economy. “Based on our internal research conducted at the Central Bank of Nigeria, there is strong support that the recovery of our economy from the recession may have been much weaker or even negative, without the implementation of the restriction on 41 items. Our research supports the conclusion that the combination of the restriction on 41 items along with other measures imposed by the fiscal and monetary authorities has helped to promote the recovery. Any attempt to reverse the course of this actions may have untold consequences on the growth trajectory of our economy particularly in our push to diversify and restructure our economy. “ In fact, recommendations are being made to the CBN that the list of 41 items be expanded to include other additional items that can be locally produced. “Second, many entrepreneurs are taking advantage of this policy to venture into the domestic production of the restricted items with remarkable successes and great positive impact on employment. The dramatic decline in our import bill and the increase in domestic production of these items attest to the efficacy of this policy. “Noticeable declines were steadily recorded in our monthly food import bill from $665.4 million in January 2015 to $160.4 million as at October 2018; a cumulative fall of 75.9 percent and an implied savings of over $21 billion on food imports alone over that period. “With favourable oil price developments and continued efforts at driving indigenous production in high-impact real sector activities, especially agriculture and manufacturing, GDP is expected to pick-up in the remaining two quarters of 2018. This will be buoyed by the anticipated budgetary and electioneering spending in the near-term. From 1.5 percent in quarter two of 2018, growth is projected to quicken to 1.7 percent in quarter three and 1.9 by the fourth quarter; “Inflation expectations are rising on the backdrop of anticipated politically-related liquidity injections. For the rest of 2018 and towards mid-2019 Nigeria’s rate of inflation is projected to rise slightly to about 11.4 percent and then moderate thereafter; “Though the CBN has so far managed to maintain exchange rate stability, the current capital flow reversals from emerging markets is expected to continue to exert considerable pressure on market rates. This pressure could be amplified by the forthcoming elections, especially as the political market place heats up. Notwithstanding these pressures, the CBN is determined to maintain its stable exchange policy stance over the next few months given the relatively high level of reserves. Gross stability is projected in the FX market given increased oil related inflows and contained import bill. I will like to make it categorically clear that “sustaining a stable exchange rate is of overriding importance to us even as we continue to put measures in place to shore up reserves”.